Acquiring Bombardier’s twin-engined commuter airliner production line is the logical next step in Longview Aviation Capital’s growth plan — by keeping Canadian wings soaring. 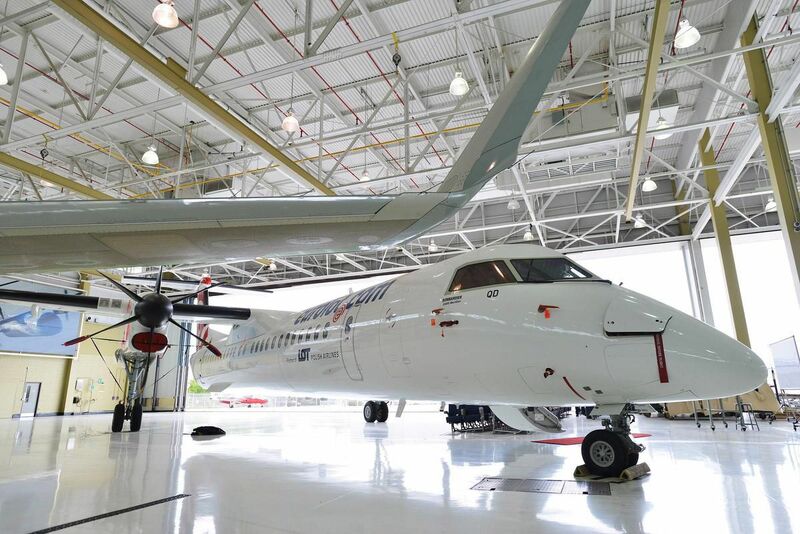 The company says the $ 300-million deal to continue manufacturing the Bombardier Dash 8 line of 100, 200 and 300 series and Q400 aircraft will make it North America’s largest commercial turboprop aircraft builder. Based in Victoria, the company’s management anticipates about $ 1 billion in revenue in the first year of its new venture. While Bombardier focuses on its turnaround plan, Longview has, by contrast, been a rising Canadian aerospace enterprise since it was established in 2016 as the parent company of Viking Air Ltd. and Pacific Sky Aviation Inc. Since then, the company has increased its workforce to 612 employees: 433 in Victoria and 179 in Calgary, where Viking assembly plants are located. Viking makes the iconic Canadian Twin Otter 400 Series and holds the certificates to keep manufacturing parts and supplying product support for de Havilland DHC-1 through 7 aircraft, ranging from the two-seat single-engined Chipmunk to the turboprop-powered Dash 7, a globally popular short takeoff and landing (STOL) regional airliner. It also makes the amphibious Canadair 215 and CL-415, both stalwart firefighting water bombers, which were part of Longview’s 2016 acquisitions. The company also says it fills a steady global demand for parts and support of reliable older Canadian-built planes, like the Twin Otter and Dash 7 that are still widely flown from polar to subtropical regions of the world. And with an increasing need for aerial firefighting due to the huge spike in the number of wildfires in B.C. and California, Longview is banking on the need to update water bombing fleets on both sides of the border. Pacific Sky Aviation is a Transport Canada approved Flight Training operation, a private operator and aircraft maintenance organization situated at Vancouver Island’s Victoria International Airport supplying flight training services for recreational flying, career pilot training and skills upgrading. Its new Twin Otter Series 400 “Level D” flight simulator program at Calgary’s airport is scheduled to begin as soon as the final stages of testing are completed in Montreal. Complete with seaplane simulation capabilities, the simulator is only one of its kind in the world.